You are here: Home / Healthy Aging / Plant vs. Animal Protein Powder: Which is Best for You? Protein powders are a convenient way to boost your protein intake, but are plant-based proteins a healthier option than whey or other animal-based protein powders? Here’s a look at the pros and cons of each, and my recommendations. Many of us have a cannister of protein powder in our pantry. 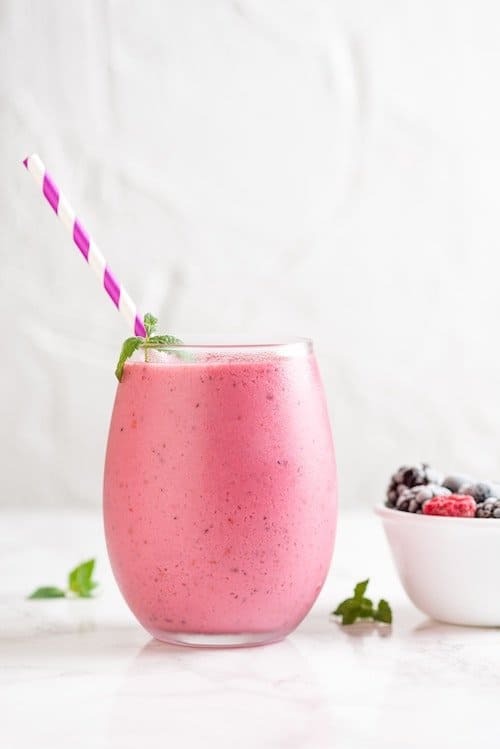 It’s a great way to flavor your smoothie, and that extra protein helps keep hunger away for a lot longer. However, food purists always ask – isn’t it best to get your protein from real foods? Do we really need that extra protein? And which is better, plant or animal-based protein powder? My answer to all of the above is usually – it depends. Protein is an essential macronutrient, along with fat, carbohydrates and water. Most of us get plenty of protein each day, even if we eat a mostly plant-based diet. You don’t have to eat animal foods to get adequate protein. Your body breaks down all of the protein you eat into 20 individual amino acids. Then, it uses those amino acids to rebuild tissues, organs and throughout your body. Of the 20 amino acids that are used to run your body, 9 are essential – which means you have to get them through your diet. The others can be made in your body. The most important difference between animal-based and plant-based proteins is their amino acid composition. Animal proteins (meat, dairy, eggs, or supplements made from these) provide all 9 of the essential amino acids. 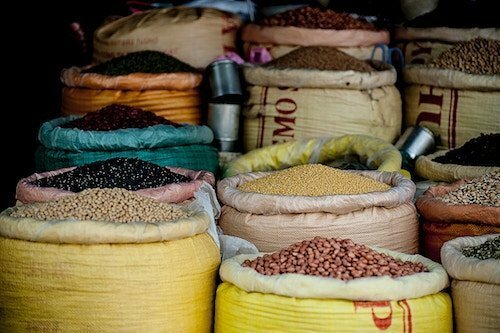 Plant proteins (soy, legumes, nuts, seeds, grains, and vegetables) are missing one or more of those essential acids. However, what one plant protein is lacking, another probably has. That means, as long as you’re getting lots of variety in the type of proteins you’re eating, you should be fine. Even though you’re probably meeting your daily needs for protein through your diet, there’s a good chance you’re getting most of it at dinnertime. If your breakfast is heavy on carbs (fruits, cereals, bagels), lunch is soups or salads, and dinner is where you’re making up for your protein, your protein intake is unbalanced. Including a good source of protein each time you eat helps to stabilize your blood sugar and insulin levels, and it also helps stimulate muscle synthesis. Muscle tissue can use 20-30 grams of protein 3-4 times each day for repair and growth. If you’re getting much less, it might not be enough to maintain or grow your muscles. That’s important because muscles aren’t just for bodybuilders! Muscle tissue breaks down faster as we age, (and I’m talking over 40!). Less muscle mass means a slower metabolism. It’s the main reason that women gain weight easier in mid-life. More muscle also helps reduce insulin resistance – a major risk for diabetes. As muscle breakdown continues into old age, it increases the risk of weight gain and diabetes, as well as osteoporosis, frailty, loss of independence, and poor quality of life. Eating more protein alone won’t cause muscle growth, but exercise, especially strength training along with 20-30 grams of protein every few hours will improve muscle synthesis. Ideally, you should get that from foods like eggs, meats, dairy, organic soy, or legumes. You’ll get not only the protein, but also the other nutrients these foods provide. But – if you’re not eating those foods evenly throughout the day, that’s where a protein supplement might come in handy. No matter what type of protein supplement you use, I always recommend choosing one that’s organic, and with as few ingredients as possible. Scan the ingredients label and put it back if you see artificial flavors, sweeteners, colors, or ingredients you don’t recognize. It’s also not worth investing in brands that tout muscle-building additives. Keep in mind that some protein supplements are meant to be a complete meal replacement, so they’ll be higher in calories and include carbs and fat. Because breakfast is often the lightest protein meal of the day for me (and for many of us) I prefer to add a scoop of pure protein powder into some real food – like a fruit, greens and nut butter smoothie, or into my overnight oats with fruit and nuts. 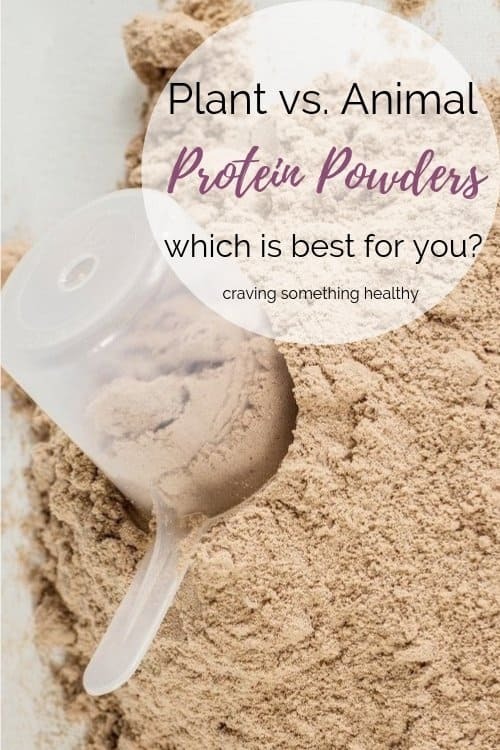 Pros: If you avoid dairy, eggs or meats, or want to experiment with cutting these out of your diet, plant protein powders are a good option for you. Many people find plant proteins easier to digest, and they feel better overall when they cut out dairy. Plant proteins also provide some extra fiber. Plant proteins are commonly made from rice, pea, soy, or seeds like hemp, pumpkin, or chia, and often contain fewer unwanted additives than animal-based proteins. With the exception of soy or hemp, individual plant proteins don’t provide all of the essential amino acids. For example, pea protein lacks the amino acid methionine, but it’s high in lysine. Rice protein on the other hand, is high in methionine but not lysine. However, if you choose a plant protein powder like Orgain or Nutiva that’s made from a blend of protein sources, you’re covered. Cons: The biggest negatives about plant protein supplements are taste and texture. Most of them are “grassy” tasting, because, well – they’re made from plants. Because of this, many people find that they really need to add lots of stuff (i.e. sweetener, fruit, nut butters etc) to mask the taste. Plant protein powders typically don’t dissolve well in liquid, so they can be chalky or clumpy. For best results, use a blender. Bullet blenders are inexpensive and easy to clean. I don’t recommend soy-based proteins, because they’re almost always made from GMO soy. The jury is also out about whether soy (especially in a supplement form) can be a hormone disruptor. Whole, organic tofu, tempeh or edamame is a much healthier option. Finally, with regard to plant-based proteins, you may have heard about a 2018 study by the consumer watchdog group Clean Label Project. They tested 134 different protein supplement products and found that most of the plant-based products had higher levels of heavy metals like arsenic, lead, and mercury, compared to animal proteins. Here’s the thing though: plant protein comes from plants, which absorb their nutrients (and toxins) from what’s in the soil and water. It’s a great example of why it’s important to not rely on any one food for all of your nutrition. Aim for variety! Whey, derived from milk, is prized for its wide range of amino acids, including the branch chain amino acids that stimulate muscle synthesis. It’s also very quickly absorbed, so it’s a great choice for after a workout. Research studies indicate that whey is preferred over other forms of protein for muscle synthesis, especially after you work out. One of my favorite brands for taste and clean ingredients is Teras Whey. If you like the idea of whey, but you’re sensitive to milk, try their Vanilla Goat Whey Protein. Goat’s milk has a different type of protein compared to cow’s milk and some people find it easier to digest. Casein is also derived from milk, and provides a full range of amino acids. However, it’s a more slowly absorbed form of protein and it tends to stick around in your body for longer. It might not give your muscles as much of a boost right after a workout, but it will help to curb your appetite for longer. It’s good to use as a filling between meal or bedtime snack. Egg white protein is a good option for those who are sensitive to dairy. It has a neutral taste and good bendability. However, while it will help you meet your protein goals, research suggests that it’s not very effective in stimulating muscle growth. Collagen is the newer protein supplement on the block. It’s most commonly made bones and cartilage. 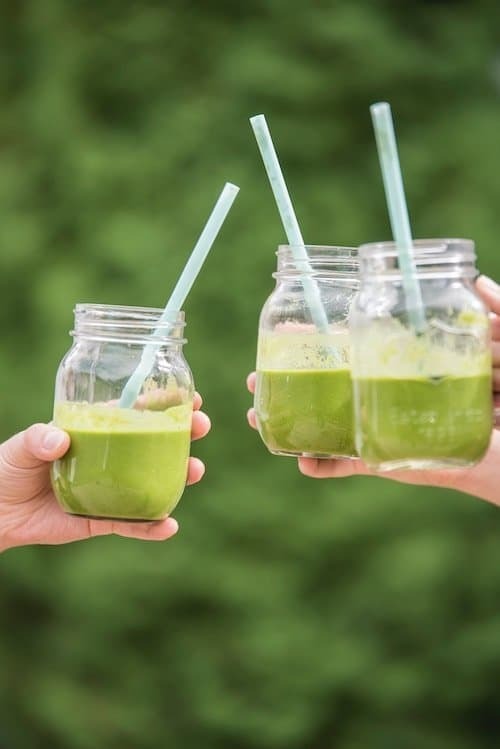 It’s not a complete protein, but it is high in the amino acids that build and repair skin and connective tissue – hence the reported claims that collagen is beneficial for skin, hair, nails, joints, and even blood vessel elasticity. Personally, I haven’t tried it, but I’ve heard it’s tasteless, dissolves easily, and many people swear that they see or feel benefits. Unfortunately, right now, there’s limited research to support the claims. If you want to give it a try, NOW Foods is a brand I like. Just as with plant-based protein powders, there are some negatives associated with animal-based supplements. Obviously, if you eat a vegan diet, they’re not an option. The biggest negative is the risk of allergy from egg or dairy proteins. If you have known allergies to the proteins in these foods, you should not use protein powders derived from them. Lactose intolerance is different that a milk allergy. Lactose is the carbohydrate in milk, so the protein powders should be low in lactose, but if you’re very sensitive, you may want to avoid them. It’s important to know that whey and casein powders can come in an isolate form which is about 90-95% protein, or a concentrate form which may only be only 80% protein, with the remainder of the product containing carbs (i.e. lactose) and fat. There’s no need to rush out and buy a protein powder that sits in your pantry because it tastes like yuk! Do you have a particular brand that you like? This post contains Amazon affiliate links. If you purchase something from Amazon after clicking the link, I’ll receive a few cents from them which helps to offset the cost of running this website. Thanks so much for supporting Craving Something Healthy!